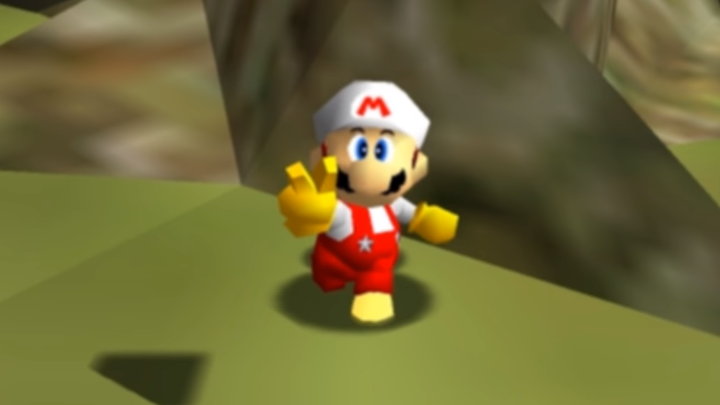 Following the success of Star Fox 64 and the N64 Rumble Pak, Nintendo released Super Mario 64 Shindou Edition and Wave Race 64 Shindou Edition. 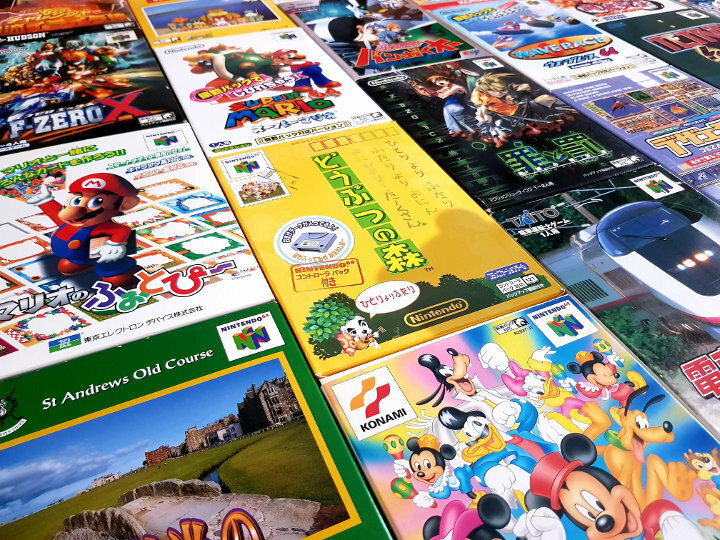 These enhanced editions came out in Japan in July 1997, and offer Rumble Pak support. There are also a few other minor differences between these re-issues and the original versions. 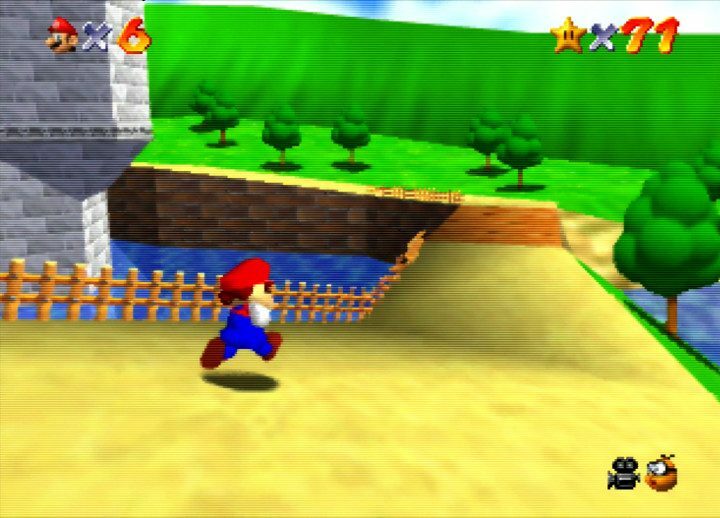 How does Super Mario 64 Shindou Edition use the Rumble Pak? The Rumble Pak vibrates when hitting enemies and getting hit by them. 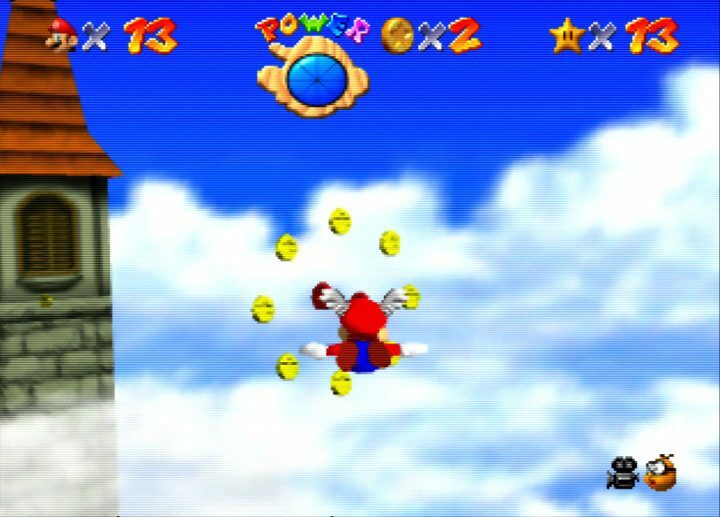 Certain moves, such as the ground pound and forward dive, also provide feedback. 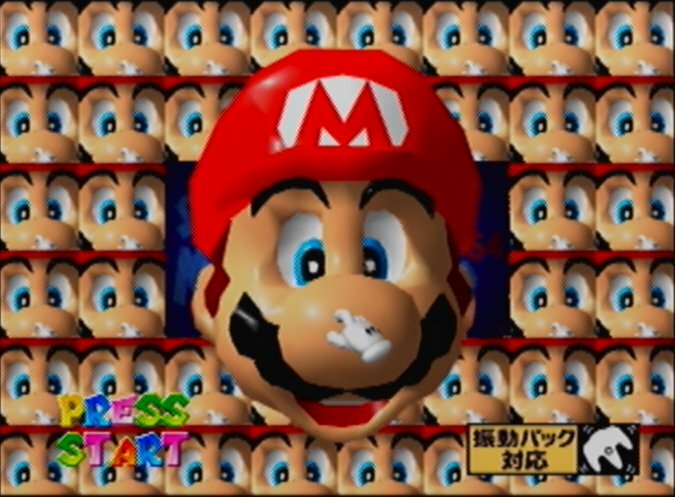 Playing with Mario’s face on the title screen also results in a hefty jolt when stretching and letting go of his elastic facial features. However, some of the other additions seem a little unnecessary. For example, the Rumble Pak vibrates when you select a game file. Or when you pick up a red coin or extra life. It’s almost as if Nintendo included these extra bits just to remind you about the Rumble Pak support. 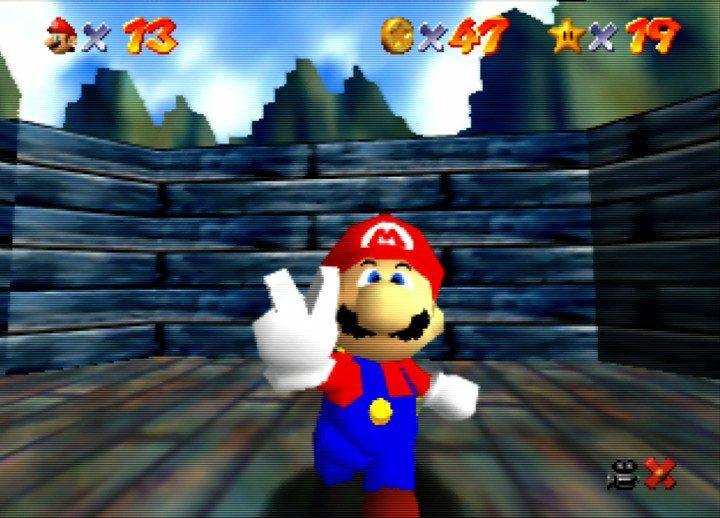 How does Super Mario 64 Shindou Edition differ from the original version? The title screen features a new animated icon highlighting Rumble Pak support. It’s actually the international release of the game, albeit translated back into Japanese. 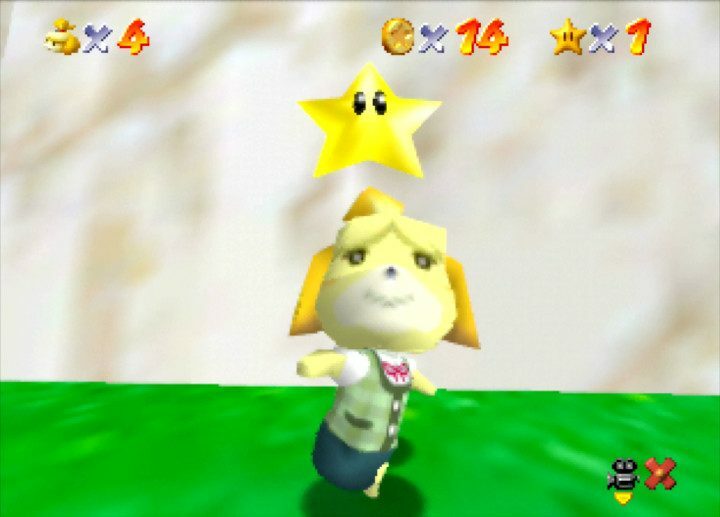 As a result, it doesn’t feature the glitches and bugs present in the original Japanese version. It includes voice clips from the international release, which previously weren’t in the Japanese version. The most notable difference is the inclusion of a title screen Easter egg. 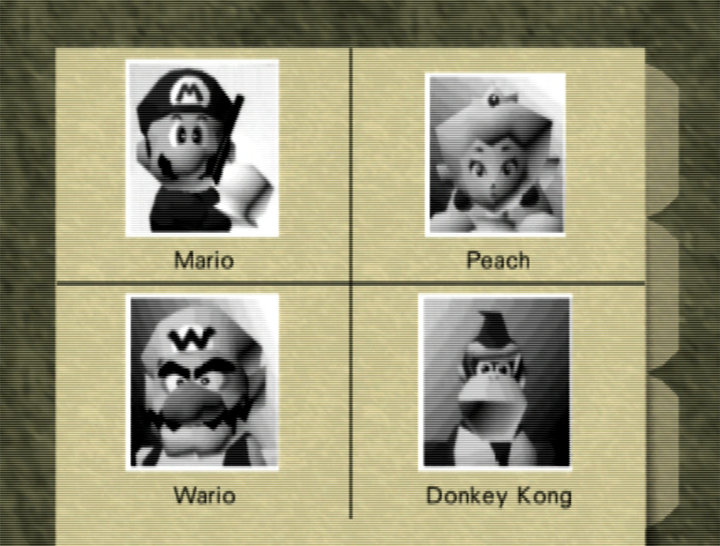 Pressing the Z-button fills the background with tiles that replicate Mario’s face multiple times. 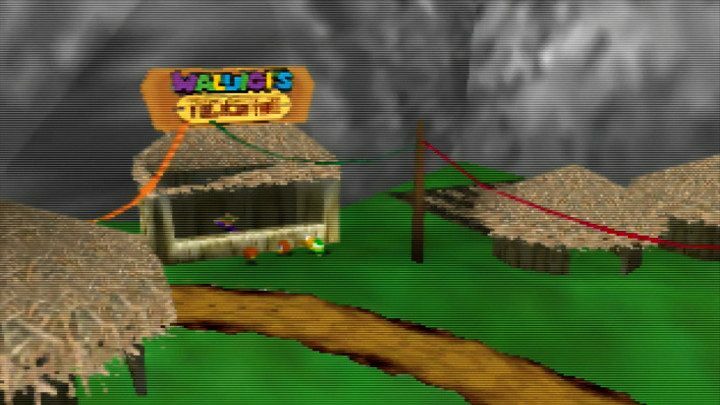 How does Wave Race 64 Shindou Edition use the Rumble Pak? 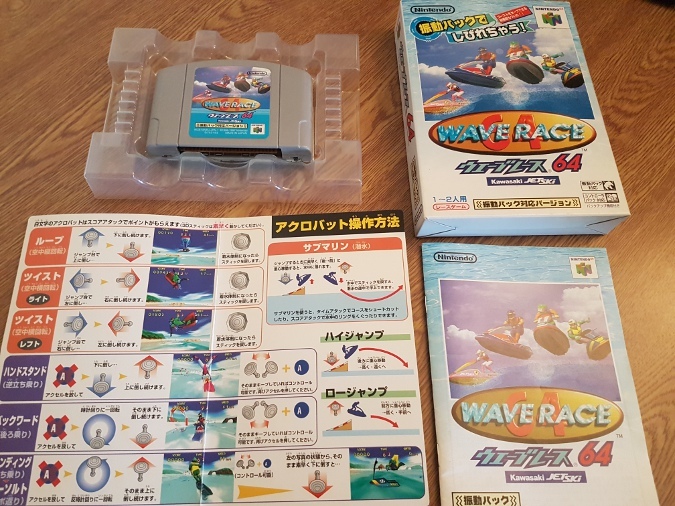 The Rumble Pak is a perfect fit for Wave Race 64. 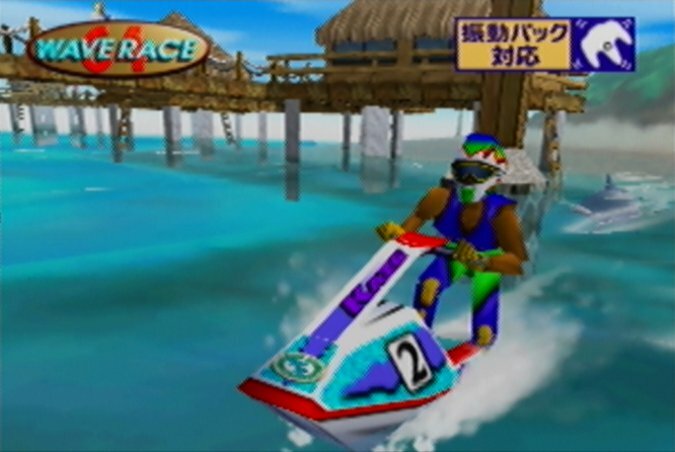 As you cruise around the course, the Rumble Pak gently hums in sync with your jet-ski’s engine. Hitting a big wave, landing a big jump, or crashing all result in a sharp burst of feedback. 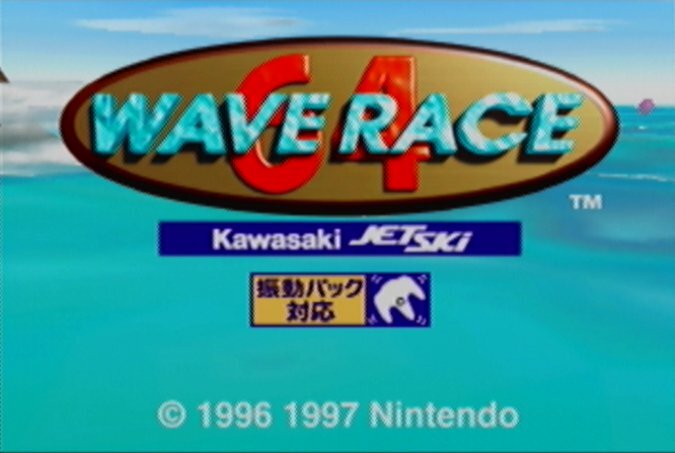 It really adds a lot to the experience, making Wave Race 64’s impressive wave physics feel almost tangible. 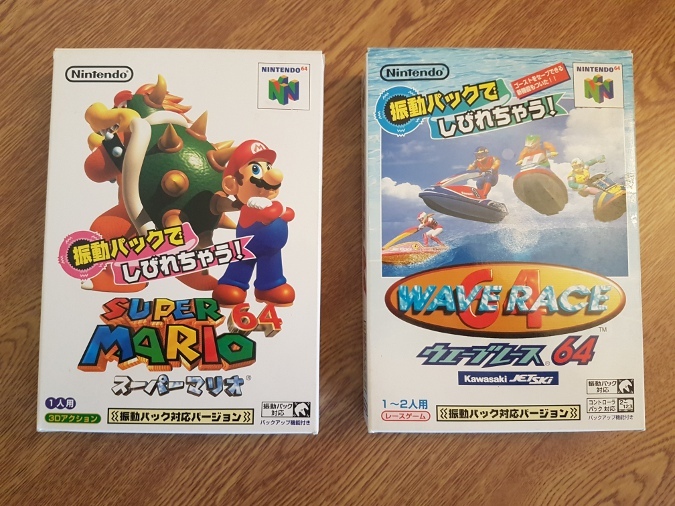 How does Wave Race 64 Shindou Edition differ from the original version? In terms of gameplay, the only difference is that you can now race a ghost (portrayed as a dolphin) in Time Trial mode. Otherwise, there are some re-recorded voice samples music tracks. Are Super Mario 64 Shindou Edition and Wave Race 64 Shindou Edition the definitive versions? 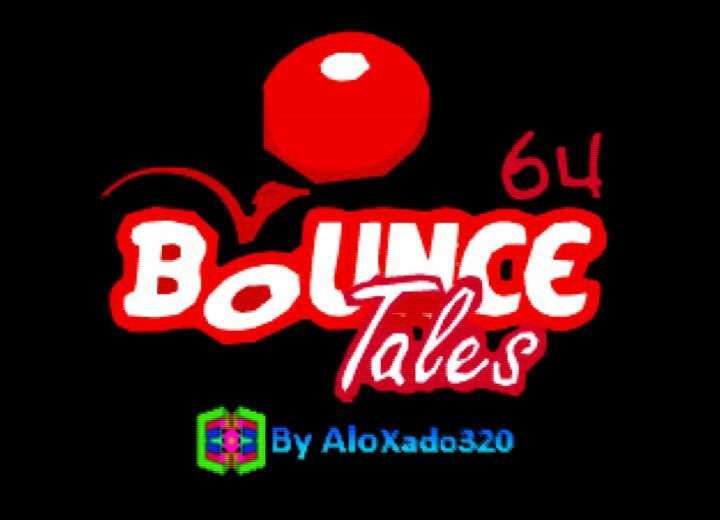 Both Super Mario 64 Shindou Edition and Wave Race 64 Shindou Edition feature everything the original games had (save for some subtle changes) and more. So you could say these are indeed the definitive versions. At the same time, they’re also only available in Japanese. It’s not so much of an issue in Wave Race 64 Shindou Edition. 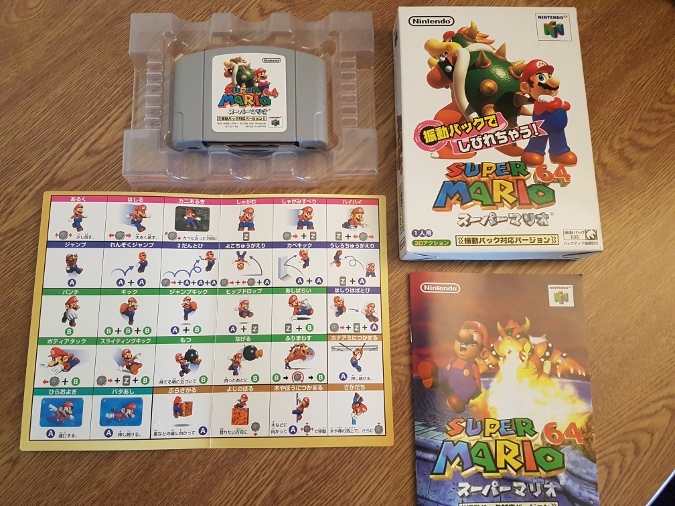 For Super Mario 64 Shindou Edition, however, it may be tricky to work out what to do if you haven’t played it before. How much are Super Mario 64 Shindou Edition and Wave Race 64 Shindou Edition worth? At the time of writing, both games are still relatively easy to get hold of. So don’t expect to pay a great deal for them. In fact, you may find that you can get hold of these versions cheaper than the NTSC or PAL versions.